Lylene Balken was born at Tri-City Hospital as were her children. As a third generation North County native, she has a passion for her community. Lylene has been in Healthcare in many capacities for over 25 years. Currently she is employed as the Director of New Business Development for Qualicare Family Homecare. 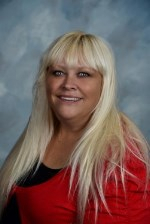 Lylene is passionate about serving the senior population and their families. Volunteering and helping others is something her mother and grandmother instilled in her. Lylene is a mother of three, step mother of four, and grandmother of one, for now, she says.